EDDM Mailing Campaigns completed from design and print to your clients mailbox. Printed in full color on 1 or 2 sides on 16pt card stock. 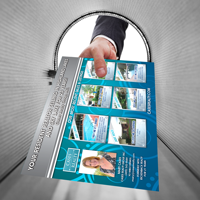 Direct Mailing Campaigns completed from design to your clients mailbox. Printed on 16pt card stock.